S O L D Completed 8-8 Silent Observation is 16x12 painted on gallery wrapped stretched canvas. The sides are painted. I enjoy painting animals in unlikely places. 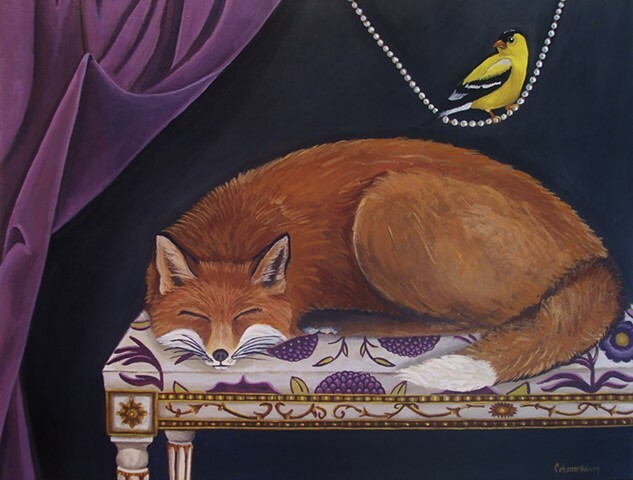 I especially love foxes and gold finches too. Thanks for looking.